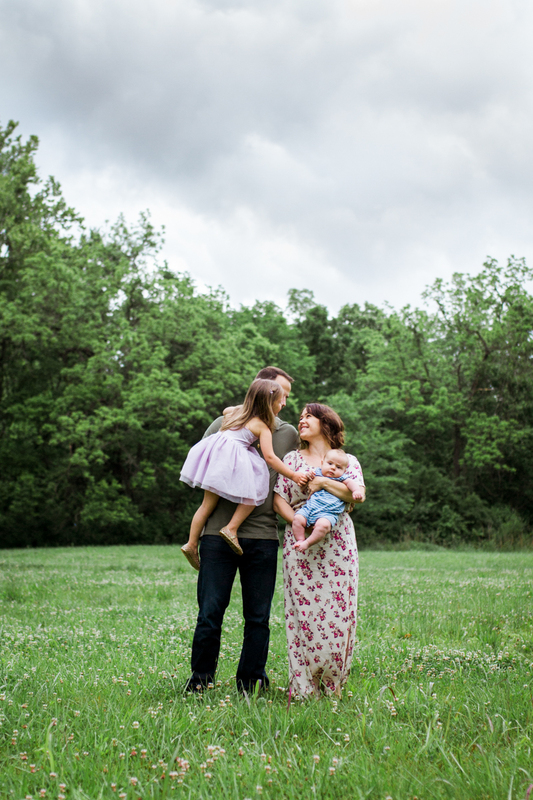 I am so excited to finally share this sweet family session with you guys! I think it may have been one of my favorite sessions lately, not just because this family is gorgeous (though they are! ), but because I so enjoyed witnessing how tender they were with one another and the sweet moments of connection they created during our time together. This year I’ve started sending out a little questionnaire to my clients once they book a session with me, to help me get to know them a little more and plan a session that truly fits them in this season in their lives. I knew this family’s session was going to be good as soon as I read Natalie’s responses to her questionnaire. She shared candidly about some of the challenges and insecurities of life as the mom of two littles (I love it when clients are real and authentic with me! ), but she also wrote so poignantly about the little everyday moments, in the midst of that real life, that make her feel loved: when her husband tells her that she’s beautiful every single day or calls in the middle of the day just to say hi. When her daughter comes in to snuggle in the morning or draws her special pictures or is so excited about something that she can’t wait to tell her. When her son cries for everyone else but stops immediately when he settles into her arms. She shared about the moments she loves with her family, snuggling up together to watch a movie together, about sharing a cup of green tea with her husband in the morning before the kids wake up, about taking walks together at the park as a family, about playing with the neighbors, and about watching her husband play pretend with her daughter. When I read her responses, I couldn’t help thinking that these moments are the treasures of this season with littles, the gems in the midst of the chaos and mundane, the beauty that gets us through the challenges. Life with young kids can be so trying at times (as the mom of a toddler, I’m right in the thick of that season, too! ), but I’ve found that stopping to really appreciate and enjoy these moments helps remind me of why it’s all worth it. I am so grateful that I got to capture a few of those treasure moments with the Tarkowski family that Saturday morning as they explored one of their favorite trails together. How about you? What treasure moments get you through the unique challenges of your current season of life?